BrightSource Energy just collected $15 million of a modest $35 million tranche of venture funding. (It's modest relative to the hundreds of millions the company has raised over the last decade.) The Oakland Tribune caught the Form D from the SEC and noted that 44 investors were involved in this equity round and promissory note. We've asked the firm to identify the investors and the proposed use for the money but have not heard back from the company. Woolard's resignation came on the heels of a BrightSource press release that described the company "evolving from being a U.S. project developer to becoming a global technology provider that also offers development support as well as engineering and operational services." That's tough language to decode, but forgoing project development to become a "technology provider" is reminiscent of a startup's transition to a licensing model -- not always a good sign for a startup. In April 2012, BrightSource pulled its IPO because of market conditions. Institutional investors were not comfortable with competition from the plunging price of photovoltaic solar, as well as a variety of other potential risks. Several months ago, we reported that BrightSource's giant Ivanpah solar thermal project in the Mojave Desert was 92 percent complete. The 377-megawatt project consists of three 459-foot-tall towers encircled by arrays of garage-door-sized heliostats. 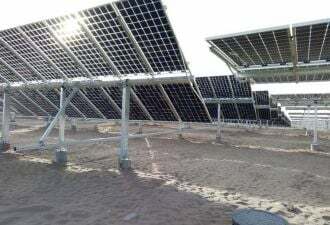 A total of 173,500 computer-controlled heliostats will eventually reflect the sun onto the receiving towers, heating water to create steam that will drive turbines that produce electricity. Future projects from BrightSource will include thermal energy storage as per Solar Reserve's projects. Another CSP vendor, GlassPoint, directs its steam toward enhanced oil recovery, rather than electrical power. 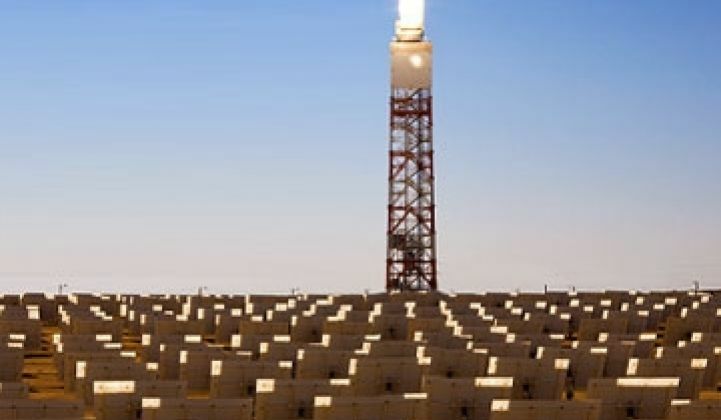 Two BrightSource Energy projects have recently been shelved due to permitting issues. BSE terminated power purchase agreements for the proposed Hidden Hills and Rio Mesa CSP solar power tower projects. Stephan Dolezalek, one of the initial investors in BSE and cleantech lead at VantagePoint Capital Partners (VantagePoint is the majority owner of BSE), suggested in an earlier interview that had Woolard known the challenges that lay ahead of him when he took the job, he might have reconsidered. In addition to convincing venture capitalists to throw in a few hundred million dollars, Woolard has had to raise billions in project finance from the likes of Goldman Sachs, CitiCorp, NRG, and Abengoa, while enduring hostile opposition from environmentalists, tortoises, and the Los Angeles Times. Is there another way to invest in greentech without devoting $25 million to relocating tortoises while building a billion-dollar solar power plant? Join us at our upcoming NextWave Greentech Investing event in Menlo Park, Calif. in September to find out. Here's the mix of thought-provoking VC, LP and entrepreneur speakers.